All bite gloves are bite RESISTANT not PROOF. Always use caution and common sense when handling animals. These are lightweight and flexible, made up of Kevlar® and other synthetic puncture resistant materials. Reinforced grippy patches in the palm and bite zone areas. 18" padded sleeves are the same as the best selling reg 12" sleeve only longer for more coverage and an extra grippy patch on the forearm for more protection and bird handling. Picture Courteous of BiteBuster, Inc.
Dyneema (Very cut resistant material) with nitrile coating. Some puncture resistance where coated with nitrile. 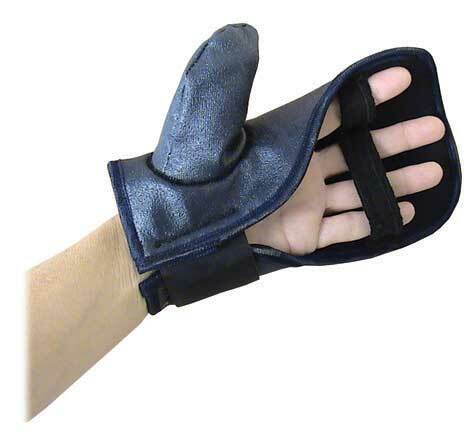 Mainly used for scratch resistance and gripping. 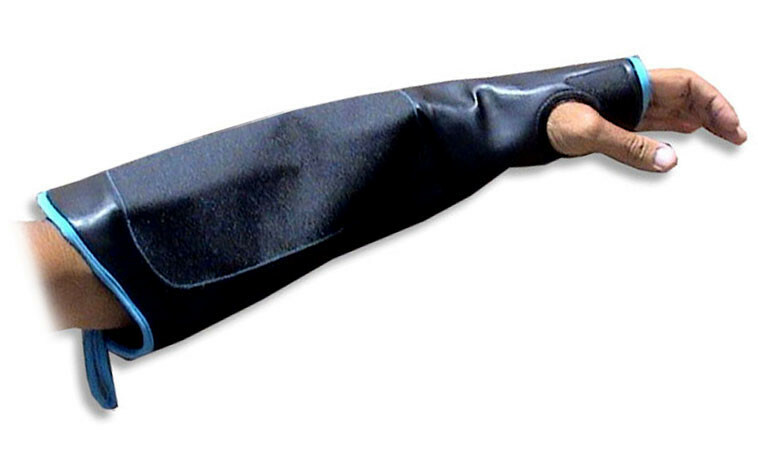 Pair these gloves with the Bite Mitt. Total protection of the "bite zone"
Total protection of the "bite zone" leaving fingers free for mobility. 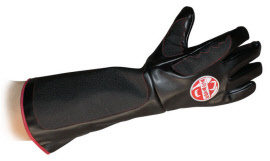 Designed to fit over any of our other gloves for maximum resistance. Descendant of our best seller "The BEAST"! Same core glove with extra grippy patch puncture resistant material over most of the glove with double reinforced finger and thumb tips, and middle of hand between index and thumb where most bites occur. 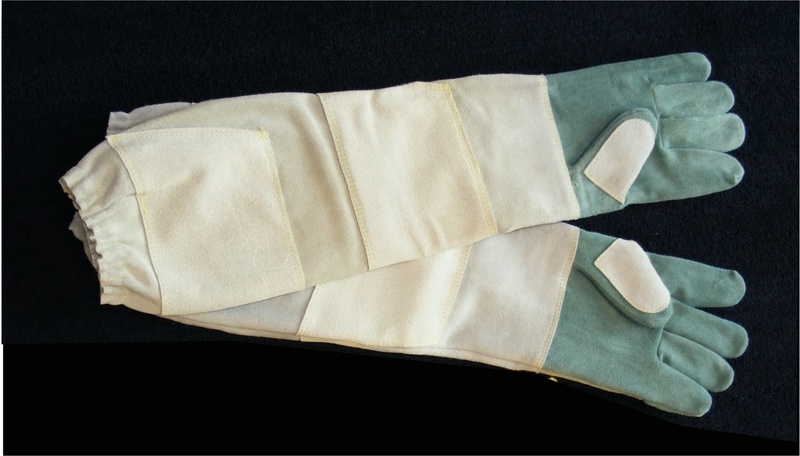 Trim colors may vary from picture for different sizes. 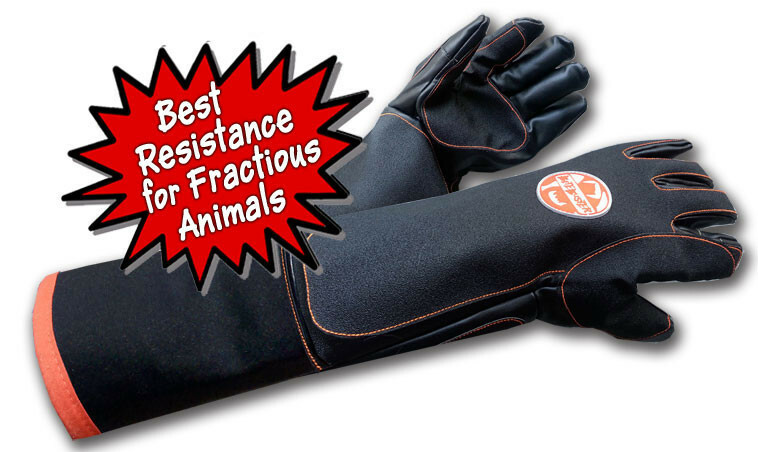 These animal handling gloves are made of quality leather sewn with Kevlar thread. 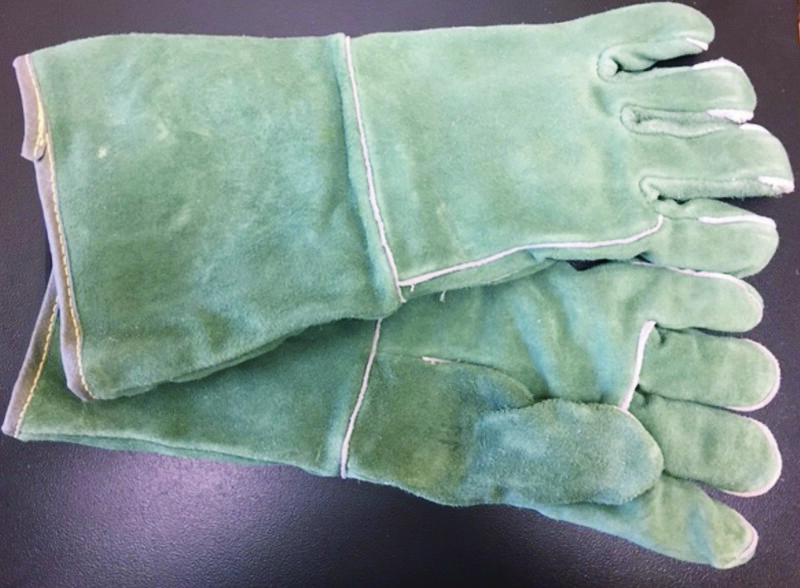 The 16" glove is a green welders glove, enhanced for animal handling. The 26" glove provides protection to the entire forearm. No secondary arm protection sleeve required.